I'm not a fan of yam, I rarely eat it....maybe once a month if I do and I like it sweetened with over ripe plantain. I know some other people like yam, so I will share my recipe. 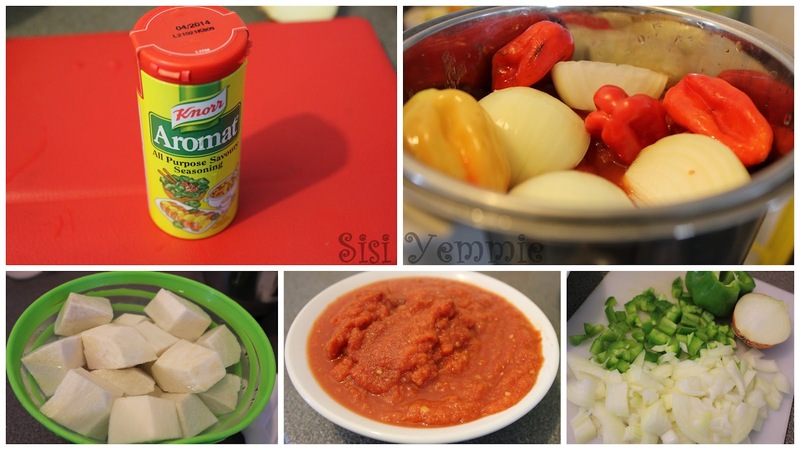 Blend tomatoes, pepper and onions. Transfer it to a pot and boil till it is almost dry and in form of a paste like the picture above. Heat vegetable oil in a separate pot and fry onions and green pepper, add some knorr seasoning and fry till the onion is cooked, then add the tomato mixture, reduce the cooker heat and allow to fry, stir it frequently. Add seasoning to it. Chop yam into cubes and slice the plantain as well. 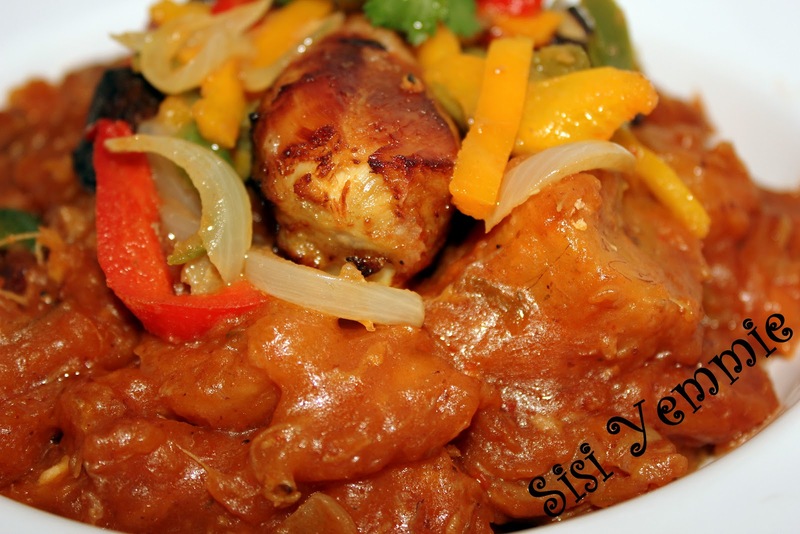 When the stew is cooked, add any stock you have and add water, then add the yam and plantain. Add the blended crayfish and any other ingredient you want, mix everything then cover the pot. Allow the yam and plantain to cook till it softens, then using a wooden spoon mash a bit of the yam. I like mine all mashed up like baby food. I don't want to see the yam. Some people don't like to mash it up at all, they like seeing huge chunks of yam. Looks very yummy, i'm so trying this out. Bobo Yomi is a very lucky man oh! hmmm yummy! I'm so gonna give this a try! ok not really a fan of yam either but that looks yummy sha.oh by the way ii tried u jollof rice recipe hmmmm it was delicious.na real party rice. Looks really yummy. Will def. try out this method. I like the fact that it's without palm oil. This looks good. And easy to prep! Will try it. Tried this recipe. I hate yam porridge but I've not been able to leave my spoon since I made this. Delicious. Knorr na baba!! Thanks Sisi Yemo! Keep it coming. yum yum!!! 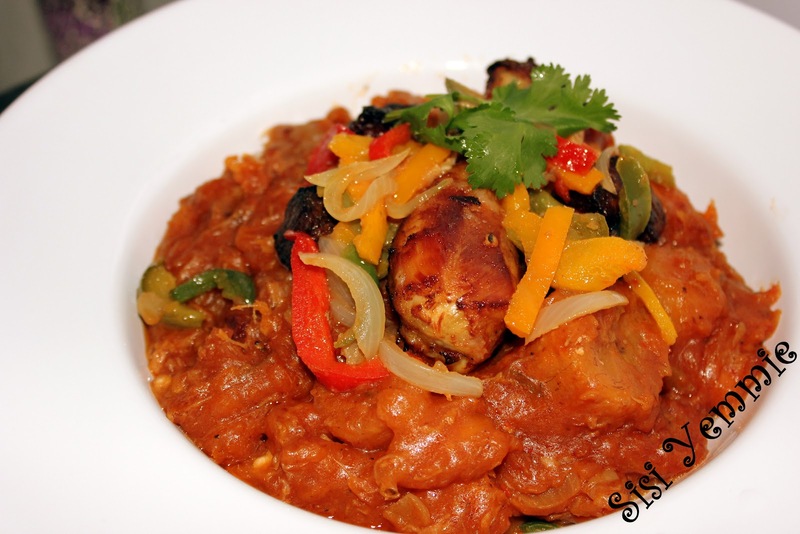 !i love this...........@SisiYemmie please can you cooking videos for this nd more. I love the fact that no palm oil is needed. I wonder if this will work with potatoes.